Programs seeking to arrest rapid and urgent declines in targeted wildlife and plant communities, especially where public attention and donor funding have been severely lacking. Projects aiming to galvanize a more enlightened human relationship with nature and build a deeper, more diverse and more forceful conservation movement. In selecting grants within the above thematic areas, we seek to back visionary institutions and individuals, improve the connections between science and policy, stimulate the flow of additional conservation dollars (from both the philanthropic and private sectors) and encourage strategic partnerships. 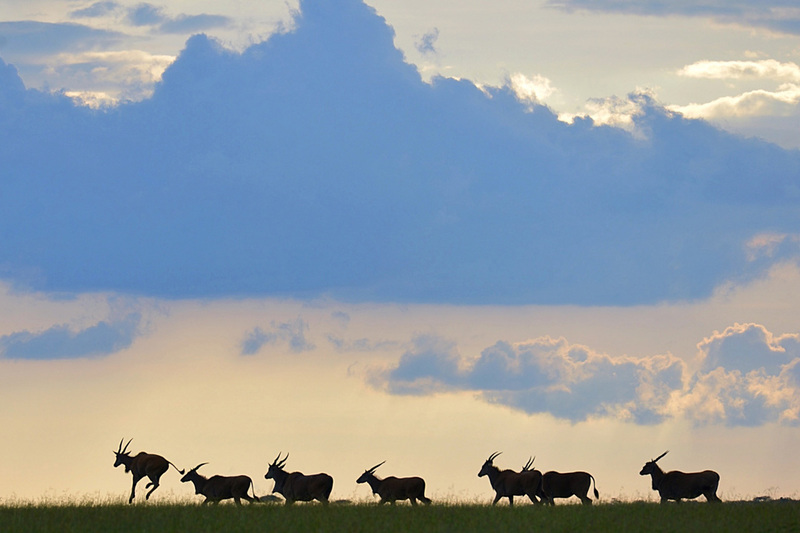 Summary: Kenya’s Maasai Mara region hosts some of the world’s largest and most iconic wildlife concentrations. In total, the Greater Mara Ecosystem covers 4,500km2, two thirds of which are on community and private lands, including 11 operational conservancies managed for both wildlife and livestock. Making sure these conservancies deliver for local people is a central challenge to ensuring the future of the Mara and an important test case for African conservation more broadly. This project seeks to strengthen these conservancies by promoting integrated management and catalyzing sustainable economic enterprise. 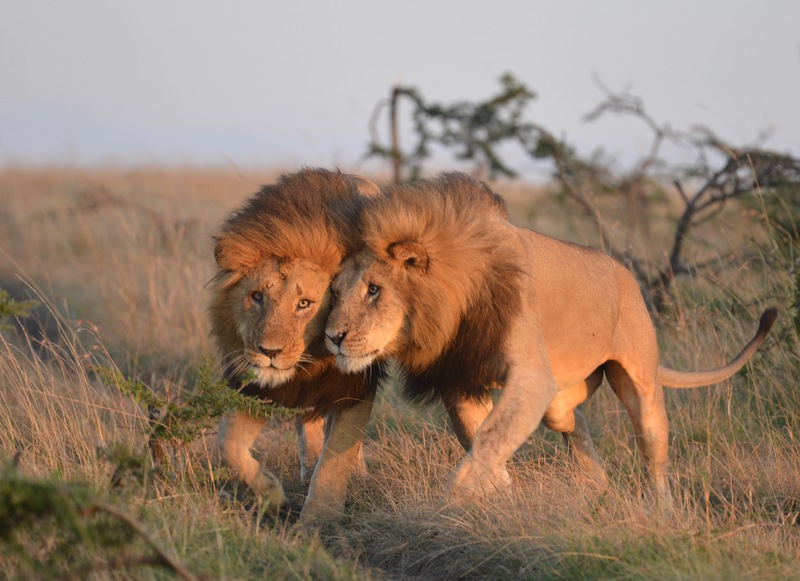 The key implementing partner is the Maasai Mara Wildlife Conservancies Association, a membership organization representing the interests of the region’s designated conservancies. Summary: Northern Tanzania is one of Africa’s most important wildlife regions, anchored by iconic conservation areas such as the Ngorongoro Crater and Serengeti, Tarangire and Manyara National Parks. Wildlife utilizing these reserves depend heavily on key dispersal areas and migratory corridors for their survival. 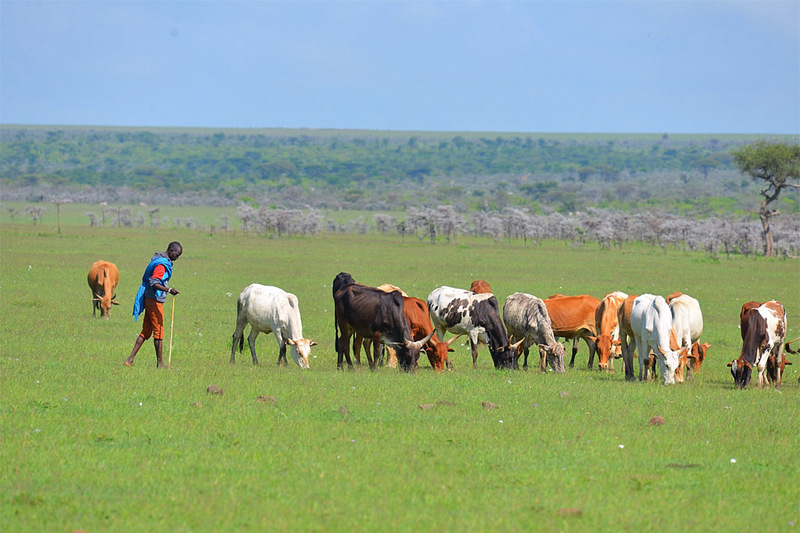 These lands tend to be community-managed and are increasingly threatened by fragmentation and overgrazing. Addressing their conservation while simultaneously providing for the needs of local people is a fundamental need. 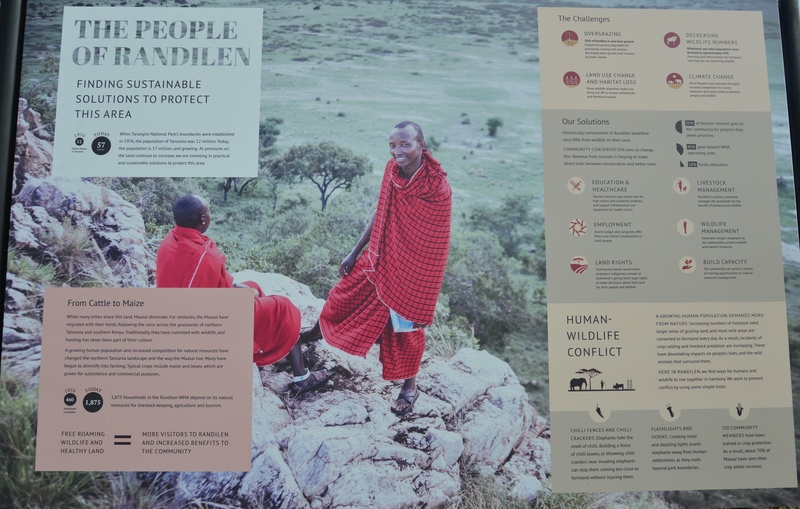 This project supports efforts to strengthen Randilen Wildlife Management Area, an 80,000-acre unit adjacent to Tarangire National Park and an integral part of the Tarangire/Manyara ecosystem. Funding supports the work of Honeyguide to partner with local communities in making Randilen financially viable, socially valued and increasingly self-sufficient. 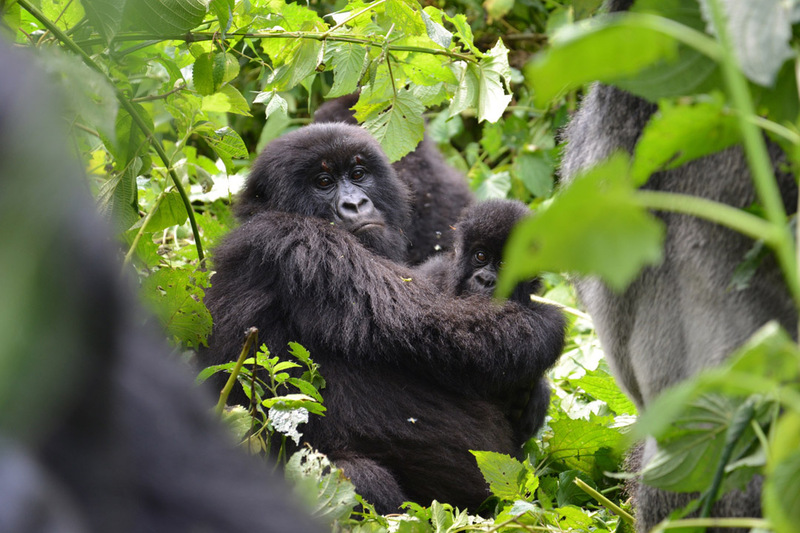 Summary: Virunga National Park in the eastern Democratic Republic of Congo is Africa’s oldest and most biodiverse protected area, best known for its population of endangered mountain gorillas. The park faces enormous challenges from a seemingly unending cycle of regional armed conflict, criminal exploitation of the its natural resources, and a growing and highly impoverished local population. In spite of these threats, Virunga has emerged as an unlikely conservation success story thanks to the extraordinary commitment of its park rangers and the visionary leadership of its park director. In addition to curtailing poaching and addressing other immediate concerns, Virunga has made important strides towards its ambitious goal of becoming an economic engine for the region – through tourism, renewable energy and sustainable fishing. Partners include the European Union, US Fish and Wildlife Service and Leonardo DiCaprio Foundation. BAND’s support addresses urgent core park needs, including salaries, rations and medical care for rangers. Summary: Though little known, the grasslands of the Southeastern United States are one of the most biologically rich and highly endangered ecosystems in the country. Most of these treeless prairies, rocky barrens and glades, pine and oak savannas, coastal prairies, wet grasslands and mountaintop meadows have succumbed to development, farmland conversion and afforestation (the latter due to fire suppression). Through preservation, restoration, research and seed-banking, SGI aims to transform grassland conservation across parts of 23 states. Partners include multiple state and federal agencies, botanic gardens, universities and others. BAND has issued a challenge grant aimed at leveraging additional support for SGI from other private, state and federal actors. Summary: Lion numbers have plummeted by an estimated 50% over the last 25 years largely as a result of direct persecution and habitat loss. The Lion Recovery Fund seeks to halt and ultimately reverse this decline through a comprehensive set of investments in priority projects aimed at supporting key wildlife areas, promoting coexistence between people and lions and tackling the illegal trade in lion body parts. Housed at the Wildlife Conservation Network and launched by the Leonardo DiCaprio Foundation, the fund provides a cost-efficient, strategic mechanism for channeling philanthropic dollars toward the conservation of this iconic species and the ecosystems it inhabits. 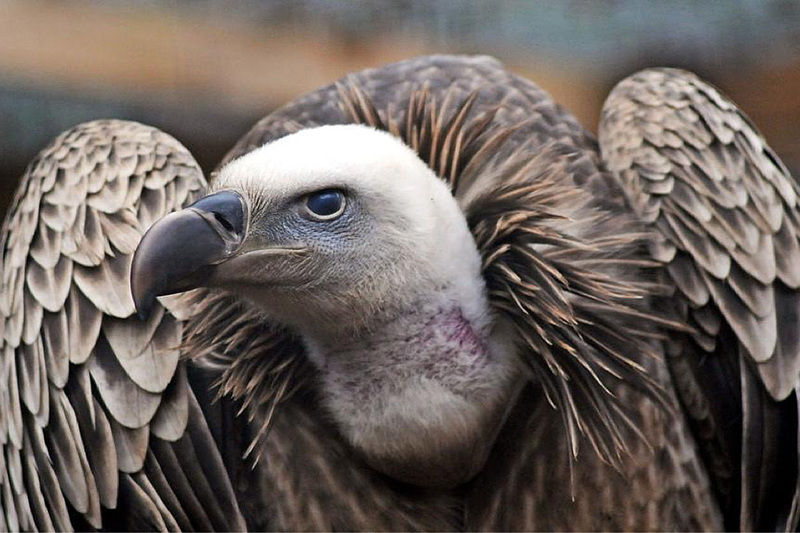 Summary: Vulture populations in Africa are collapsing, with seven of Africa’s 11 species now at grave risk of becoming functionally extinct. Serving as nature’s clean up crew, vultures are essential in reducing disease transmission. Their unparalleled efficiency as scavengers greatly reduces the chance for rabies, anthrax and other deadly afflictions to take hold and threaten humans and wildlife alike. Poisoning, both direct and inadvertent, is the primary culprit killing off Africa’s vultures. This project, focused in Kenya, seeks to encourage rapid response to poisoning incidents, educate communities on the value of vultures, encourage national policies that reduce the availability of poisons and stimulate additional financial commitments toward vulture conservation. Key project partners include Nature Kenya and The Peregrine Fund. Summary: The Northwest Hawaiian Islands are one of the world’s most important remaining seabird nesting strongholds. Today they support 6 million seabirds of 22 species including 98% of the global breeding population of Laysan and black-footed albatrosses. With a mean elevation of only 1.7 meters, these islands are highly vulnerable to sea level rise, extreme storms and other climate-related impacts. Elevated breeding grounds once occurred throughout the main Hawaiian Islands but were effectively wiped out by introduced mammalian predators. Rehabilitating such habitat is essential to ensuring a viable future for these seabird populations. 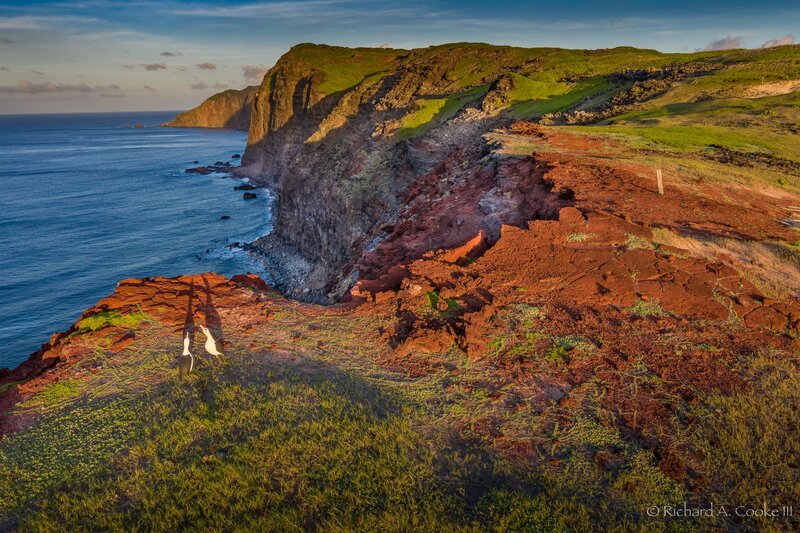 This project supports the construction of a predator-proof fence at Mokio Point on Molokai that would allow the restoration of a critical breeding site and set an important precedent for high island seabird recovery. Partners include the Molokai Land Trust, US Fish and Wildlife Service and Sacharuna Foundation. Summary: Disease is rapidly emerging as a major threat to wildlife globally. While wildlife diseases are not new, human actions are dramatically increasing their spread and impact. 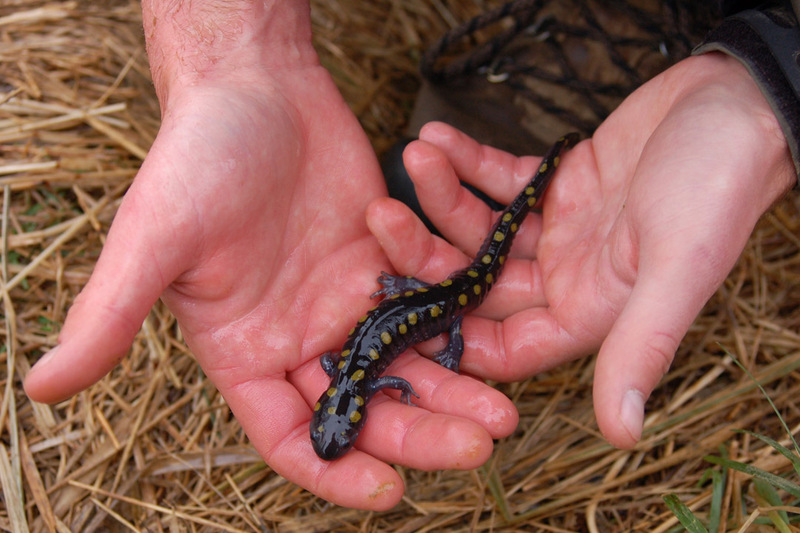 Three specific emerging pathogens that affect bats, salamanders and sea stars are of immediate concern in the United States. These families of animals play vital roles as ecosystem engineers across a range of habitats from agricultural landscapes to forests to intertidal zones. This project provides funding for critical research and monitoring to better understand the diseases that threaten them, aims to catalyze a public policy framework for tackling wildlife disease more broadly and seeks to leverage additional dollars to address this critical issue. 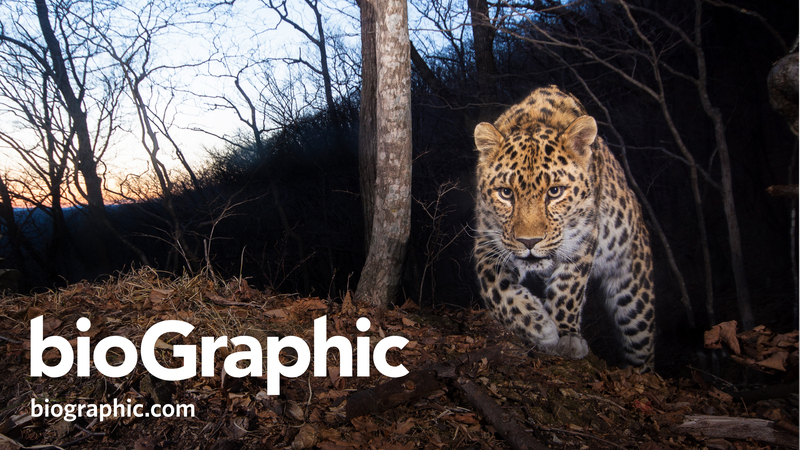 Summary: bioGraphic is a free, online, editorially independent, non-profit magazine dedicated to showcasing the wonder of nature and the most promising solutions to sustaining life on Earth. Powered by the California Academy of Sciences, bioGraphic uses an array of storytelling tools and techniques to address the worrisome lack of accessible, high-quality science reporting in today’s media landscape. With its immersive visuals, inspiring narratives and rigorously reported information, bioGraphic aims to spark conversations, shift perspectives and inspire hope and action. BAND funding will allow bioGraphic to expand its coverage and increase its reach. Summary: Acadia is one of America’s most visited national parks and at the cutting edge of public/private partnerships that assist in its conservation. BAND supports Friends of Acadia – in collaboration with the Town of Bar Harbor and others – in the restoration of Cromwell Brook, one of the park’s key watersheds. Summary: New York City has 10,000 acres of wild lands – forests, grasslands and wetlands – within its limits. These areas buffer storms, absorb rainwater, clean the air and support native wildlife and plants. BAND funds a citywide trails coordinator who works to formalize trail systems, restore natural areas by knitting together fragmented habitats and build a team of dedicated volunteers. Summary: Prior to European settlement, some 40,000 acres of grasslands covered central Nassau County. Known as the Hempstead Plains, only a fraction of that habitat remains and is home to at least 14 globally rare plant species. 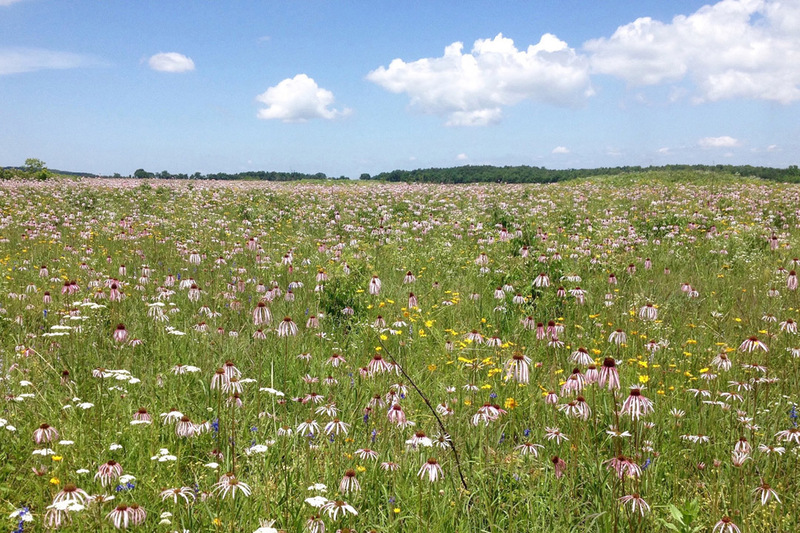 BAND’s support will help restore a critical prairie remnant. Summary: Invasive plant species pose severe threats to native ecosystems and agricultural landscapes. BAND supports the Blue Ridge Partnership for Regional Invasive Species Management (PRISM), a collaboration between landowners, federal and state agencies, conservation organizations, and volunteers to control invasive plants in a 10-county area of the Virginia Piedmont.